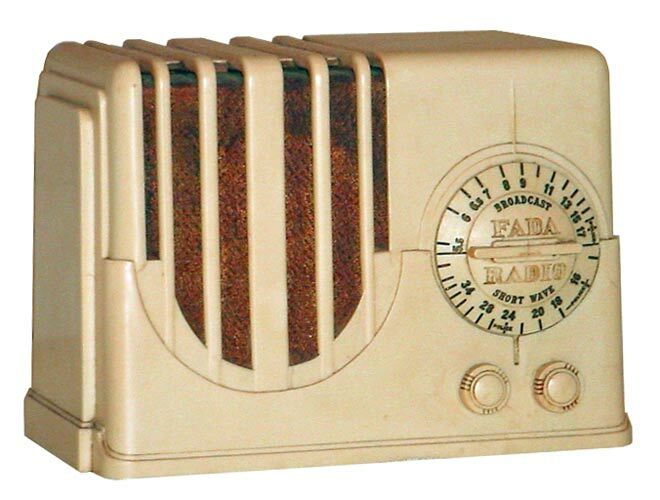 The ivory plaskon Fada 350V is one of the "Coloradio" 350 series offered by Fada in four different cabinet colors for the 1938 year that also includes the 350W (Walnut Bakelite), 350B (Black), and 350R (Chinese Red). The cabinet is clearly based on the successful Silvertone 4500 series that were first released a couple years prior. The Fada 350 is rare and fairly hard to come across. This example was the only one I have ever seen appear for sale in the past 15 years of collecting.